Whether you are securing and monitoring a single exterior door or a dormitory of living units, we have a solution that fits your security needs and budget. Download a brochure for schools & education as well as a brochure for commercial buildings. Together, we can make schools safer than ever before! How Does the Rapid Lockdown System Work? SHELTER works at the touch of a button. It operates with a system of gateways and repeaters that lock the doors using a small key fob that transmits information through local wifi. 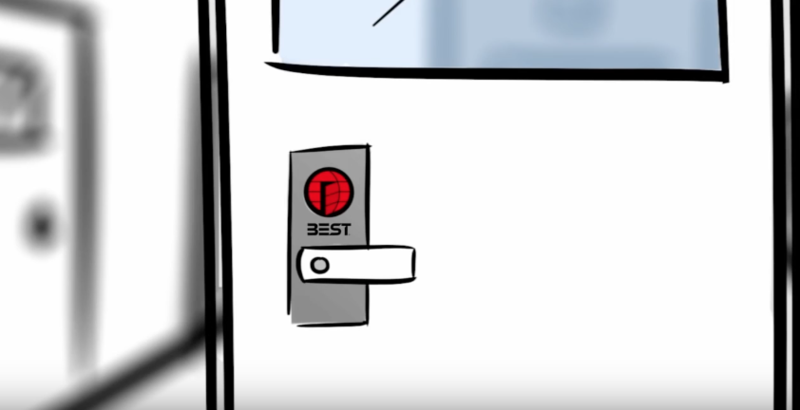 The system is configurable — each key fob can be made to fit each employee’s specific lockdown responsibility from covering the lockdown of one door to several doors, or the entire building. In comparison to access control, SHELTER is about a third of price. The system is modular, allowing incremental installation through different areas of the building or campus. 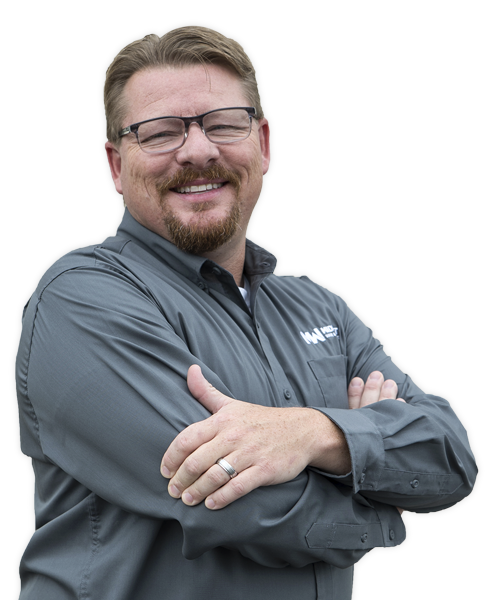 Give our office a call 402-464-6348 and we can set up a time to evaluate your building’s structure to give you a better estimate. 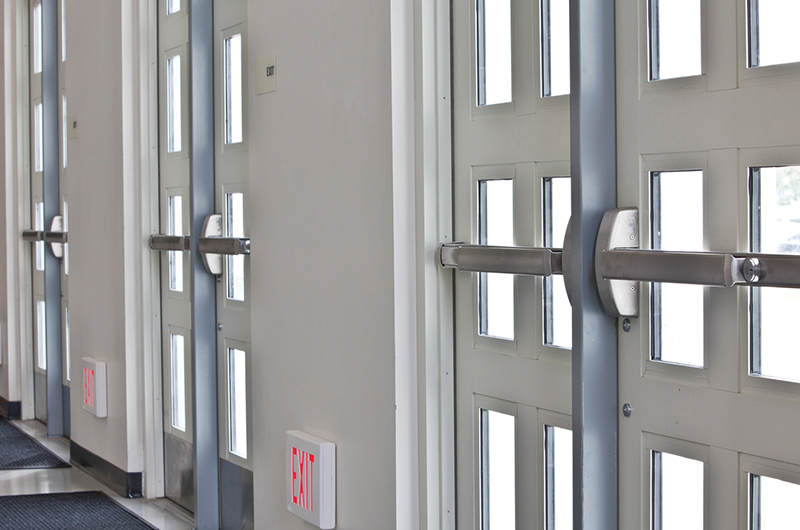 What Is The Difference Between The Shelter Products and Your Average Access Control? SHELTER does not offer access control capabilities. 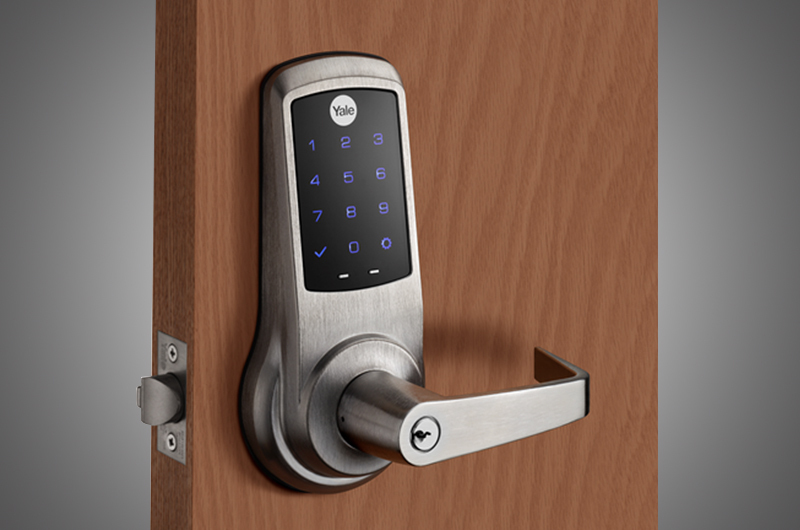 The 9KX is meant to be used as a standard mechanical lock for everyday operations. In emergency situations, the exterior lever can be locked via a wireless lockdown signal to prevent intruders from entering the building or room. With assistance from your integration resource, the SHELTER network components can be configured to allow the fob to initiate a signal to your pre-installed access control system or alarm system, allowing communication with first responders. Can I Install On An Existing Access Control System? Yes. 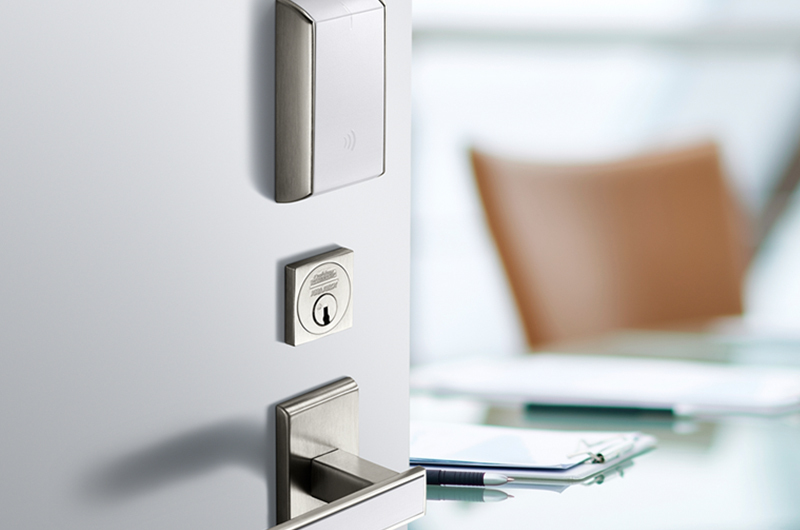 The system can be incorporated into existing access control to add an additional layer of security. Or, it can be installed as a stand-alone system. How Many Fobs Can Be Synced To A Single Lock? There is no limit on the number of fobs that can be synced to a particular door. Additionally, you can set up your fob to either lock down one individual door, or multiple doors. What Are The Components Of The Shelter Product? What Are The Most Common Applications For The Shelter Lockdown System? SHELTER can be used to provide a lockdown solution where multiple doors must be locked within a few seconds. Common examples where this functionality may be necessary include K-12, higher education, commercial office spaces, theaters and churches. The gateway is the center of the communication system for the SHELTER solution. This is the component that is registered with, and provides information to, the web-based software. The gateway is on a 900 MHz platform giving our system very reliable, long range connectivity. On average, buildings only require the use of one gateway. A site survey is highly recommended to determine the specific requirements for your application. A repeater is a device that helps expand the signal from the gateway. A gateway has a range of around 400 feet in each direction. If a lock is farther away than 400 feet, a repeater would be used to take the wireless signal from the gateway and increase it another 400 feet. A repeater also has input and output relays to allow for easy integration into existing systems or signal devices such as an electric key switch. Repeaters are used to extend the network of the gateway. The number of repeaters needed varies with the size of a building, the number of floors, etc. A site survey is highly recommended to determine the specific requirements for your application. What Do The Buttons On The Fob Do? There are two buttons on the fob. The top larger button with the image of a lock on it is used to initiate a lockdown. The bottom smaller button with the asterisk on it is used for running drills or testing the fob range. Buttons must be pressed and held for 2 seconds. The fobs do not communicate directly to the locks. Everything flows through the gateway to reach the lock. Fobs and repeaters speak to the gateway which in turn pushes the communication down to the locks. The fob has a typical range of up to 200 feet. This may vary with building construction. The range can be tested by pressing the asterisk button on the fob.